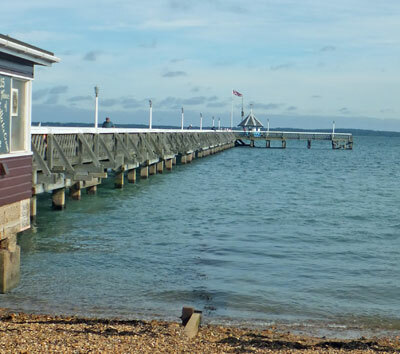 Yarmouth Pier was built in 1876 to allow ferries from Lymington to dock, and also as a landing stage for steamers from other ports and piers on both the Isle of Wight and the mainland. It is the last wooden pier of its type in the UK and is Grade II listed. In the nineteenth century it was quicker to travel by steamer between Yarmouth and Cowes than to go by carriage. These days few vessels use the pier, it is mainly used for promenading and fishing.